Some things you expect to find on the Palouse: tractors, football fans, a smattering of laboratories probing the molecular basis of life and the reaches of space. The rural alchemy of agriculture and academia would seem less likely to nurture the great urban art form of jazz, but somehow it does. Several nights a week, you can wander into a club like Rico’s and find three or four or five people whittling away at the American songbook. Up the hill, student and faculty players in the WSU Jazz Studies Program take cuts at the genre in classes, assorted ensembles, and recordings. Throw a certain Italian soil scientist into the mix and things can really cook. 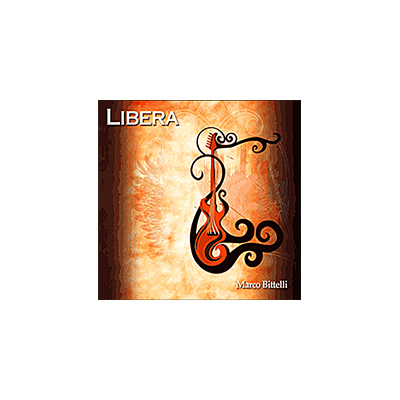 Such is the case in “Libera,” a CD on the Pacific Coast Jazz label featuring Marco Bittelli (2001, PhD). A researcher at the University of Bologna, Bittelli wrote all nine tunes on the recording, drawing inspiration from sources that range from his children running naked around the house (“Nudo”), the Henry Miller novel Nexus, John Coltrane’s “Giant Steps,” and the Palouse wind (“Vento sulla Palouse”). His musical vita includes study with Joe Pass, jazz guitar virtuoso di tutti virtuosi, and there are times you can hear him sharing a fondness for the fretboard’s full range of bass, melody, and harmony. Joining Bittelli in various combinations is a host of WSU players past and present. On sax and a particularly fine flute is Horace Alexander Young (1983, Master’s), whose extensive collaborations include BB King, Abdullah Ibrahim and McCoy Tyner, as well as several years in a local duo with Bittelli. Other musicians on the CD include composer and pianist Charles Argersinger (retired from WSU in 2009), drummer and associate professor David Jarvis, bassist and instructor F. David Snider, and cellist and assistant professor Ruth Boden. Together they’ve turned out a rich, varied and nuanced set of Mediterranean-flavored compositions.